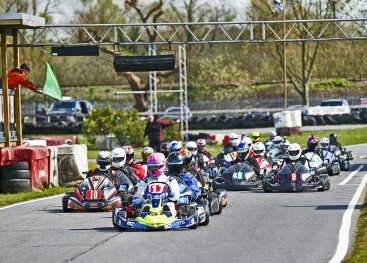 This month saw a very healthy 26 kart grid. 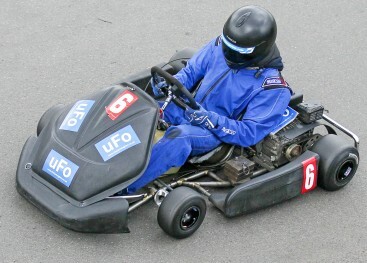 Neptune Racing who missed Round 1 were back and for the rest of the season. 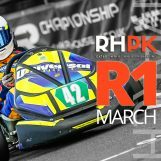 2015 RHPK Championship Winners, Team Alpha were due to come back, but a sickness bug meant that they will return in May. 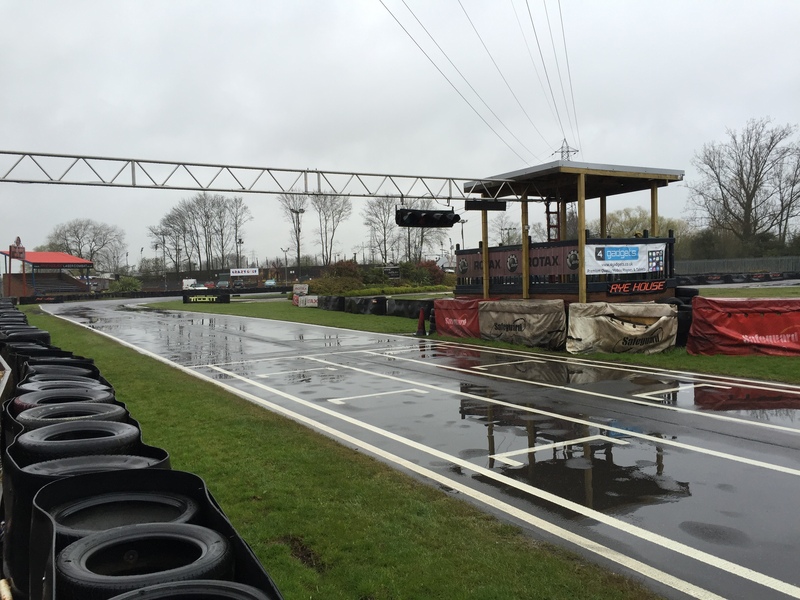 The Circuit opened to a very wet track with the rain still pouring down. Practice 1 was wet, all teams were on wets trying to get a setup. 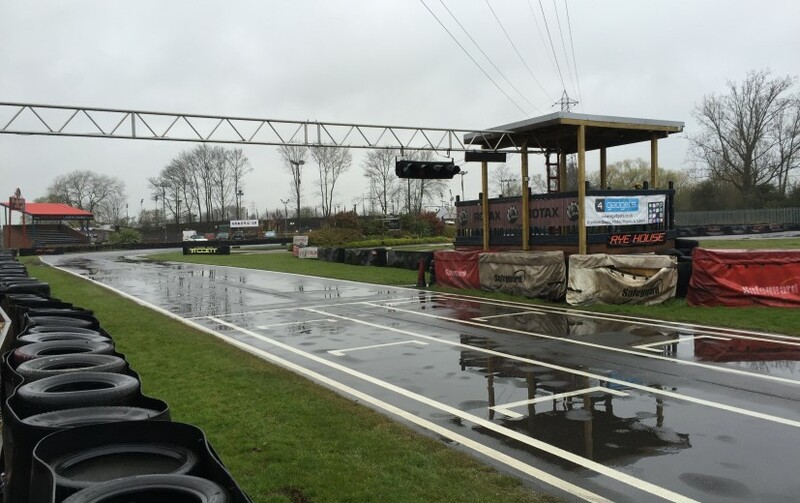 Practice two started off damp in places as the track started to dry. 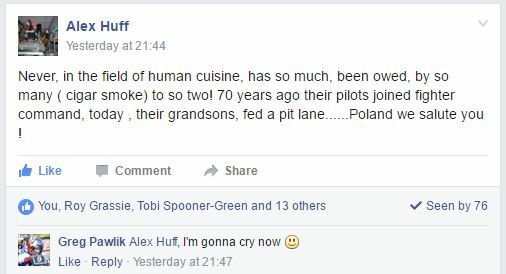 This month Polish Sausages returned by popular demand, this time sponsored by 7Kart. Phil & Greg from Polish Lambo bought 120 Sausages to feed all teams during the 1 hour break. Fantastic work guys, a real asset to the series on and off the track. 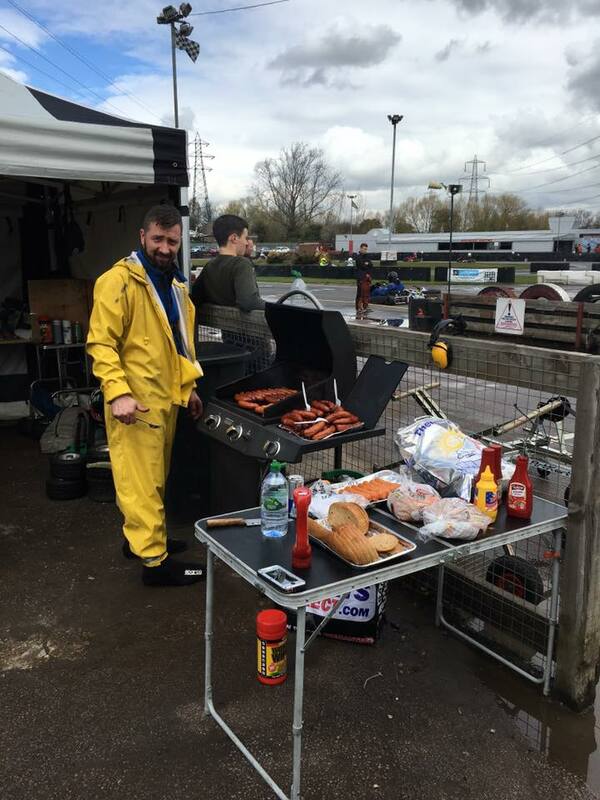 We can confirm the Exclusive RHPK Sausage fest will be back in Mays televised round! 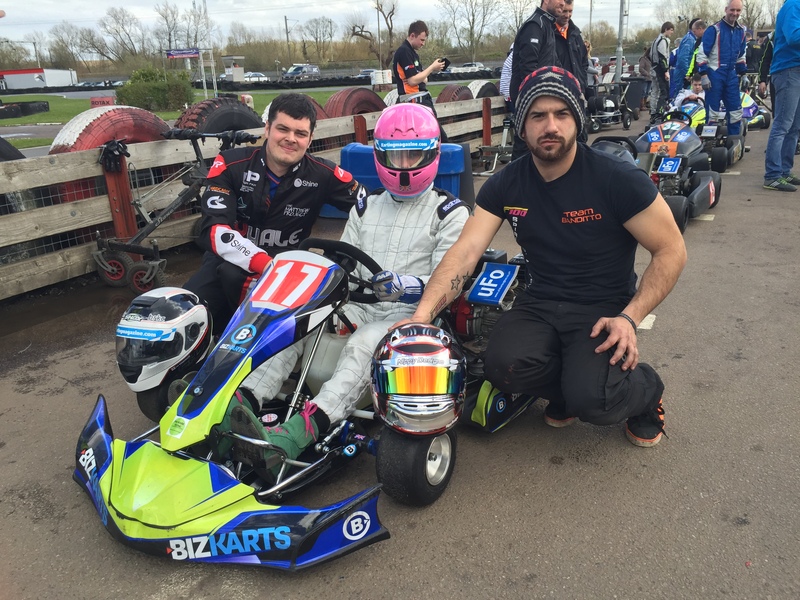 This month the driver line up in Team Karting Magazine sponsored by Biz Karts looked mighty strong. 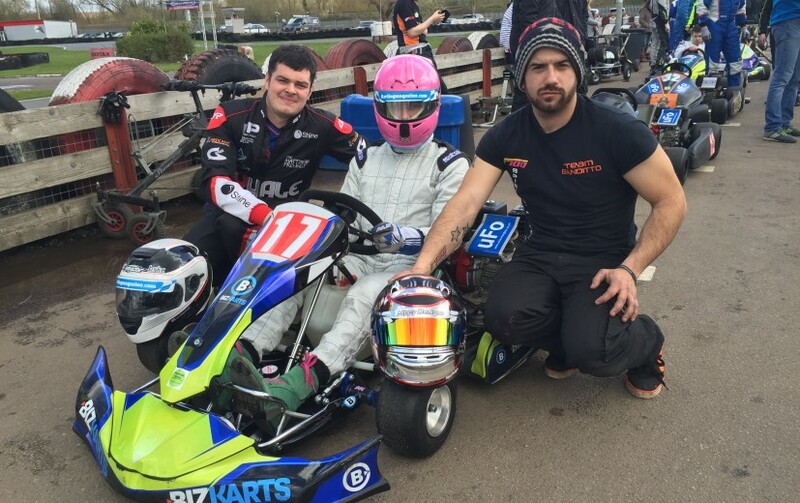 Lee Henderson, Piers Prior & Joe Scorey were ready to improve on their debut race last month. 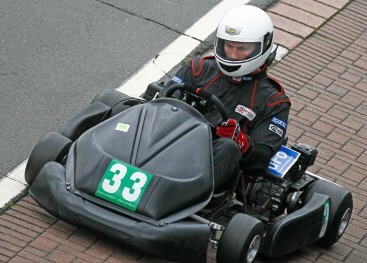 Piers & Biz Karts were down at the track on Thursday testing. 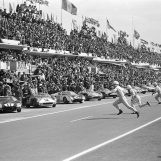 As the green flag dropped, 26 karts entered into Stadium, in some cases four wide. Helicopter Services lead the pack however Piers Prior, Karting Magazine manages to find some space under Ben, Helicopter Services and takes the lead. 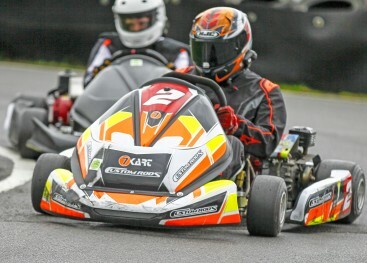 JAKL Racing becomes sandwiched between two karts and is dramatically launched on two wheels which then hits Andy from Avatar Racing who is pushed into the tyres. 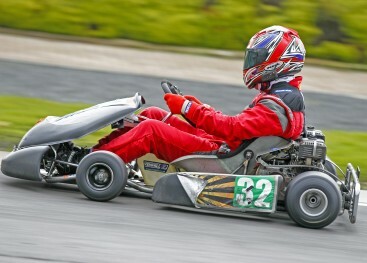 Andy took some impact and initially struggled to get out of the kart – the race is promptly red flagged. We can confirm Andy is well, a little bruised and possibly has cracked some ribs. We hope he has a speedy recovery. We will keep you updated on his progress. Amazingly Avatar are on the grid for the race re-start, this time Stewart Callis from the team starts from the back of the grid. 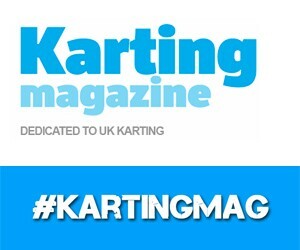 As the Karts come down the grid for the restart Team Karting Magazine in their second race with RHPK is in front, ABA Racing is down the inside of Custom Rods. Right behind ABA is Team JAM who have found some real pace this month to be well in the mix! 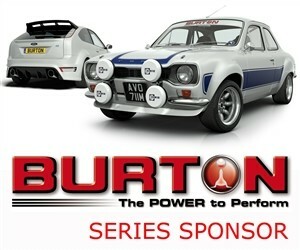 ITS Racing 2 & Burton Power Racing are leading Clubman. ITS Racing 1 manages to take a number of places on the restart ahead of Team Wraith. 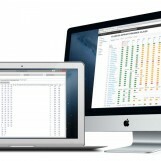 As the race settles down, a number of teams fall victim to Reliability. 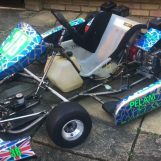 ABA Racing has a seat bolt shear off in the final stint & Team Karting Magazine lost a weight post, meaning that they incurred a 10 lap penalty. As the checkered flag dropped Helicopter Services make it a double and take the win and the fastest lap. 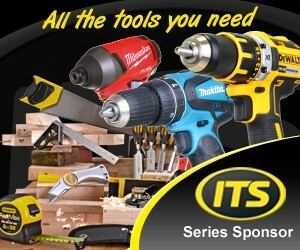 Season Sponsor, ITS Racing 1 who finished a well deserved third last race take an incredible 2nd place. Custom Rods who suffered a bent stub axle for the last hour limp home to finish third despite a fast closing Team Wraith. 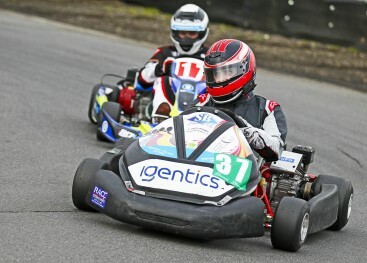 In Clubman Amigos who finished 3rd spot last month take a well deserved win over last round winners NMA Racing in second. JAKL Racing round up the top three. 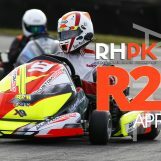 A notable mention, in their second race of RHPK and as a Owner Driver Pro Karting Team, Team Lambo finished 4th in Class! Well done guys! 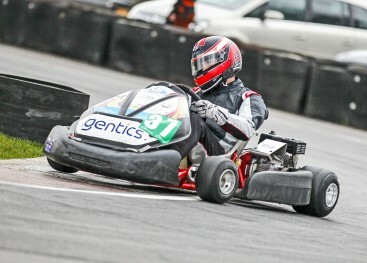 Team Karting Magazine finished 18th after their 10 lap penalty. 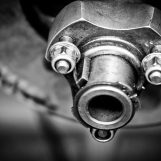 A real shame for the guys who worked hard on the kart during the morning to qualify 3rd on the grid, then to go on to be challenging Helicopter Services for the lead. This month 7Kart provided the sausages for the grid. A big thanks to Rob from 7Kart and Greg & Phil from Polish Lambo.